The Nebraska Purple Heart Flight will take recipients of the Purple Heart or Bronze Star with Valor (from Gulf War, Iraq, Afghanistan) and Gold Star Kids whose parents were killed in Iraq or Afghanistan to Washington D.C. for a tour of our Nation’s war memorials and sacred grounds, including Arlington Cemetery’s Section 60 and the national memorial of Remembering Our Fallen, which will be near the Lincoln Memorial for Memorial Day weekend. 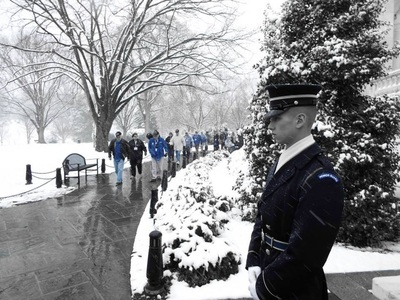 Additional memorials will include Tomb of the Unknown Soldier, the Vietnam War Memorial, the Pentagon memorial, and more. 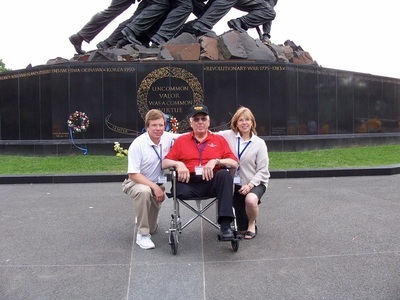 If you have received the Purple Heart or Bronze Star with Valor since the Gulf War, we invite you to apply for this special trip; we would be honored to have you! …PROUD TO SPONSOR ANOTHER FLIGHT! And thus began the theme of the 2018 Nebraska Female Veterans Flight for women who had served in any war zone. 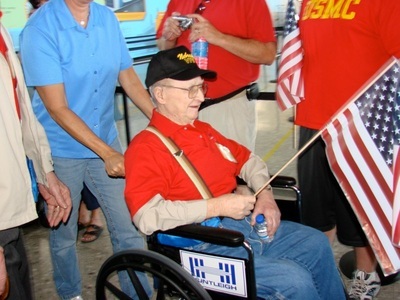 · 100 American Heritage Girls took time from school to meet the veterans. This flight was modeled after earlier flights with registration and a Pre-Flight Dinner the day before. The special guest at the event, drawing a crowd of 700, was Loretta Swit, America’s most famous nurse, Major Margaret Houlihan, from the popular TV series, M*A*S*H.
With a 2am wake-up call, the veterans and guardians were on the plane for a 4am departure to Reagan National Airport and a scheduled arrival of 7:30am. 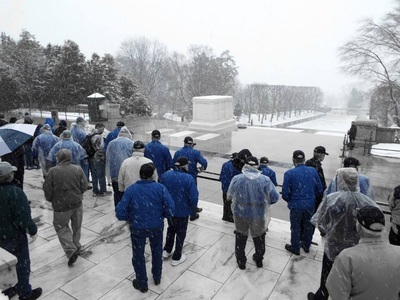 Throughout the ten-hour day, stops were made at the memorials and many photos were taken and stories shared among the veterans. The mood of the day, while often reflective, was also upbeat. 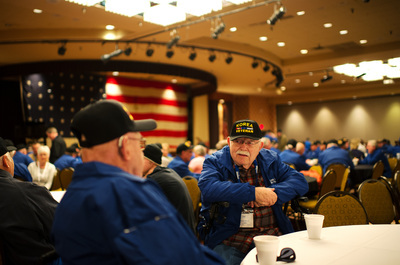 Like those before them, these veterans, too, have a remarkable sense of humor. 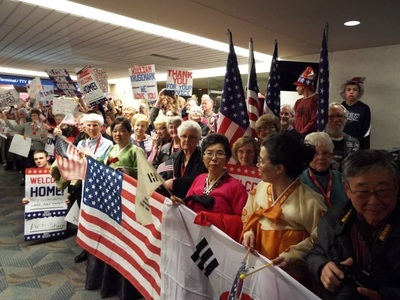 Prior to the approach at Eppley Airfield, you could hear “God Bless America” being sung. A few minutes later, when the charter jet’s pilot had to initiate a go around due to wind sheer, one of the veterans yelled out, “We’re going to Vegas, ladies!” Laughter rang out in the cabin and the excitement continued to build as they awaited the reunion and “WELCOME HOME” with their loved ones and 2,000 people who greeted them. 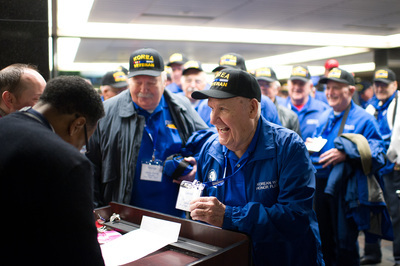 Less than 24 hours after the flight, a thank you note was received, with comments of how the flight had given this veteran time to reflect on her service and time overseas, while connecting with others who had experienced the same. The support shown in D.C. and Omaha had been humbling. She said she had not been mobilized with her unit, and the return to the states did not have a welcome home celebration. The crowd in Omaha made up for those feelings of indifference and when she thought about the previous day’s events, she said her eyes welled up with tears for this treasured lifetime memory. These powerful trips and moments are only made possible because of the generous hearts and souls of our donors and volunteers and the public who take the time to go to the airport to say, “WELCOME HOME!” Thanks, everyone, for making this flight, like all of the others, so incredible! 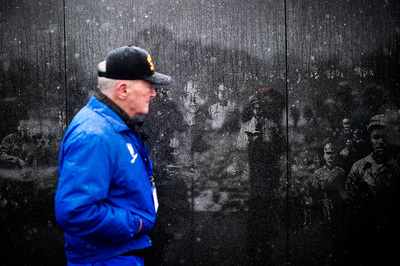 The Vietnam Combat Veterans Flights took nearly 1,200 Vietnam Veterans to see their Memorial in Washington, D.C. Thousands attended their return at the airport to give them the Welcome Home that so few received all those years ago. 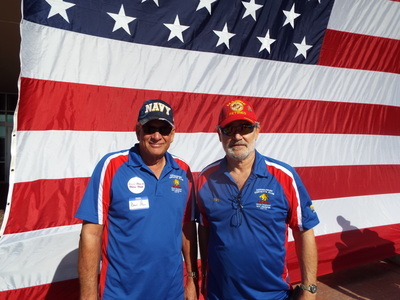 The May 2017 flight was the largest group of Vietnam Veterans from one state to ever visit the Vietnam Veterans Memorial Wall. 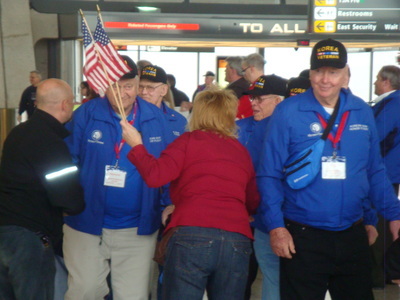 On this special occasion, WWII, Korean War and Vietnam Veterans from previous flights and their families were reunited for a day of camaraderie and remembrance. 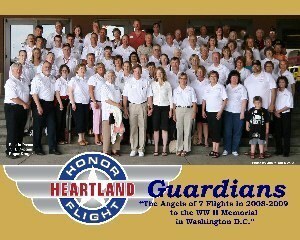 The event raised more than $20,000 to kick off fundraising for the National Remembering Our Fallen Memorial. Special thanks to Embassy Suites and Renze Display Company for making it possible! 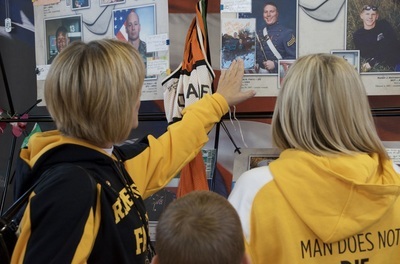 It's time we say thank you to Gold Star children and their families…the Silent Heroes who have sacrificed so much. 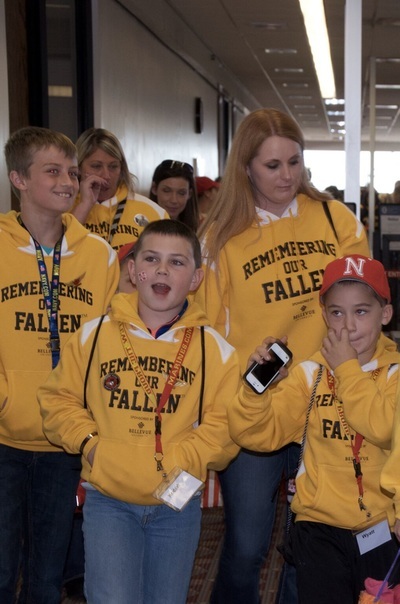 The Gold Star Kids Flight included 65 children who lost a parent in the war, as well as their surviving parent. 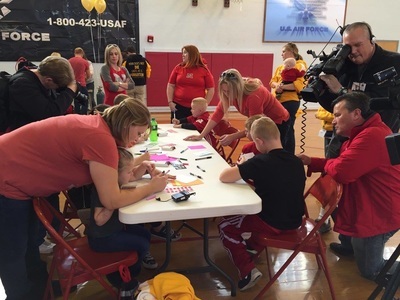 A pre-flight event the evening before included a catered dinner and activities for the children while their mothers received massages and manicures. 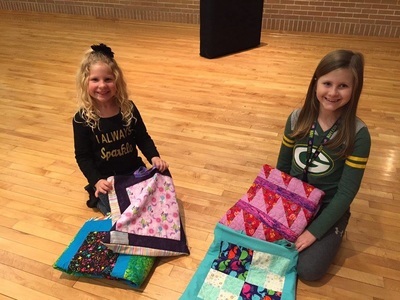 The children also received special hand-made quilts and their mothers received bathrobes and slippers. 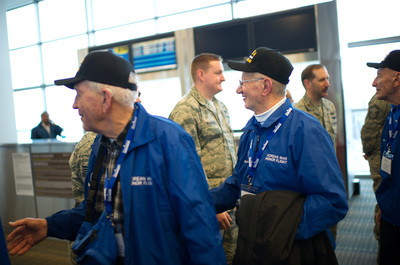 The next morning, they flew a 737 from Omaha to Lincoln; hundreds of Americans came to both airports to thank and welcome them, warming the hearts of all. The children placed a red rose near the photo of their parent on the “Remembering Our Fallen” memorial during a brief ceremony on the UNL campus. Governor Pete Ricketts welcomed the children and their mothers into the Governor’s Mansion and took pictures with each of them. 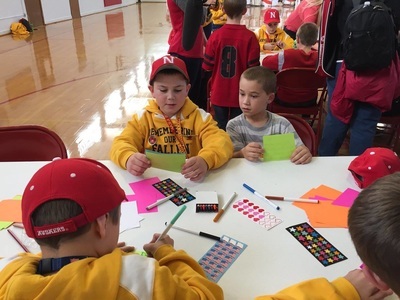 Before the game, the children took time to write beautiful notes that were attached to a gold balloon that would be launched after the National Anthem inside Memorial Stadium. The University of Nebraska donated tickets to the Nebraska v. Michigan State football game and made it possible for the family members to sit together in a very special area. To the delight of the Gold Star Kids, Nebraska won the game in the last minute - something they will long remember. 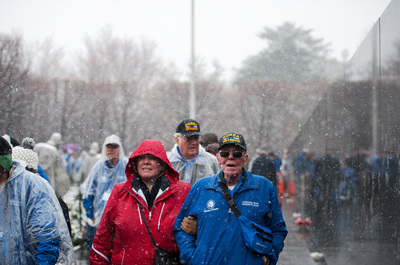 Nearly 600 Korean War Veterans were flown to Washington D.C. to view their Korean War Memorial, and to thank them for their service in the "Forgotten War." Thanks to the Theodore F. and Claire M. Hubbard Foundation for their generous gift of $200,000, and $90,000 from an anonymous donor, to help sponsor these flights. 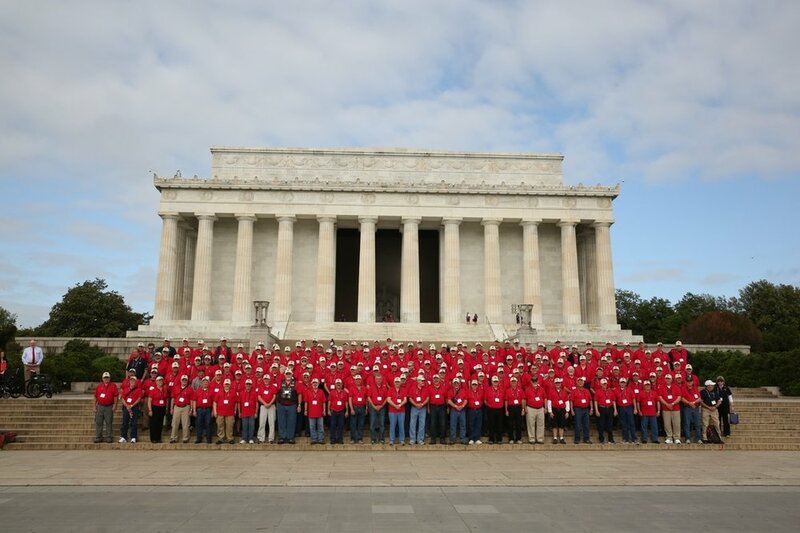 The Heartland Honor Flights took 1,491 Nebraska World War II veterans to see their national World War II Memorial in Washington D.C. over the course of seven flights, thanks to the countless efforts of the many volunteers and the donations from so many, which raised $1,200,000. The most substantial donor was the Peter Kiewit Foundation, which donated $365,000. 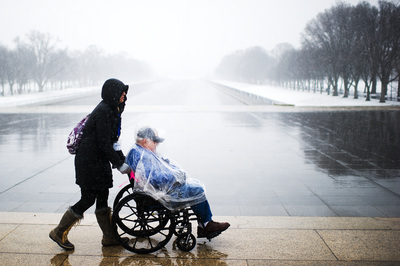 While the veterans were gone for the day in Washington D.C., many of their wives would enjoy their time “On the Home Front,” hosted by volunteers, which would include lunch and visits to area museums or places of interest. 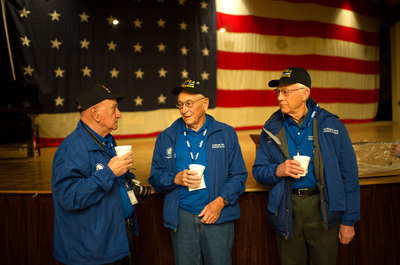 The highlight for many was the evening pizza dinner, at which many shared their own experiences during the war years. 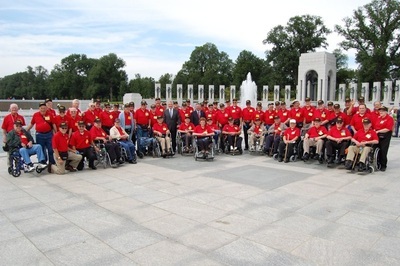 It was truly an experience of a lifetime for everyone involved and an opportunity to say Thank You to these remarkable men and women of The Greatest Generation.